It provides a simple C interface for programmers to use to decode images of these kinds. OpenSlide is a product of the research group of M. Satyanarayanan (Satya) in the Carnegie Mellon University School of Computer Science. See how some projects use OpenSlide. There is a web-based demo of OpenSlide rendering various slide formats. First, try the search box at the top of the page. It covers the OpenSlide website, mailing list, issue tracker, and wiki. Questions should be sent to the users mailing list. If you think you have found a bug, please report it in the appropriate issue tracker. Users mailing list. Once subscribed, anyone can post. This list is for asking questions about OpenSlide. Announcement mailing list. It is a low-volume list and is moderated. All users are recommended to subscribe to this list. Nightly builds are handled by Buildbot. Some freely-distributable test data is available. There is no universal data format for whole-slide images, so each vendor implements its own formats, libraries, and viewers. Vendors typically do not document their formats. Even when there is documentation, important details are omitted. Because a vendor’s library or viewer is the only way to view a particular whole-slide image, doctors and researchers can be unnecessarily tied to a particular vendor. Finally, few (if any) vendors provide libraries and viewers for non-Windows platforms. Some have gone with a server approach, pushing tiles through a web server, or using Java applets, but these approaches have shortcomings in high-latency or non-networked environments. OpenSlide has been supported by the National Institutes of Health and the Clinical and Translational Science Institute at the University of Pittsburgh. This page is published under the Creative Commons Attribution-ShareAlike 4.0 International license. 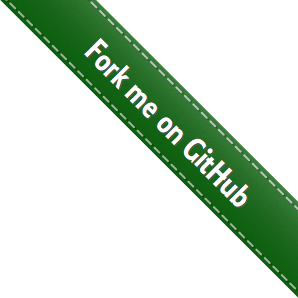 "Fork me on GitHub" ribbon copyright © 2013 Aral Balkan, released under a Creative Commons Attribution 2.0: England & Wales license.